The Dictionary of New Zealand Biography (DNZB) is an encyclopedia or biographical dictionary containing biographies of over 3,000 deceased New Zealanders. It was first published as a series of print volumes from 1990 to 2000, and then on a website from 2002. The dictionary superseded An Encyclopaedia of New Zealand of 1966, which had 900 biographies. The dictionary is managed by the Ministry for Culture and Heritage of the Government of New Zealand. An earlier work of the same name in two volumes, published in 1940 by Guy Scholefield with government assistance, is unrelated. Work on the current version of the DNZB was started in 1983 under the editorship of W. H. Oliver. The first volume covered the period 1769–1869 and was published in 1990. The four subsequent volumes were all edited by Claudia Orange, and they were published in 1993 (1879–1900), 1996 (1901–1920), 1998 (1920–1940), and 2000 (1941–1960). These later volumes made a conscious effort to move away from the male and Pākehā-dominated coverage of early works to a more representative view of New Zealand. Women who had done well in male-dominated fields (Sybil Audrey Marie Lupp, Amy Isabella Johnston, Mary Jane Innes, Alice Woodward Horsley, Nora Mary Crawford, etc.) were included, as were Māori, a range of ordinary people (Joseph Zillwood, etc.) and criminals (Edward Raymond Horton, Jessie Finnie, etc.). Many of these people were included because detailed accounts of their lives were readily available, in archives, academic studies and official histories. Others were prolific diarists (Catherine Fulton, Sarah Louise Mathew, Alexander Whisker, James Cox, etc.). Helen Clark as Minister of Arts, Culture and Heritage launched the online version of the DNZB on 19 February 2002. The online version was first promoted by Judith Tizard, a graduate in history from the University of Auckland, which was supported by Clark, who had also graduated in history from the same university, and endorsed by Michael Cullen, who had been a history lecturer at the University of Otago. The dictionary was integrated into Te Ara: The Encyclopedia of New Zealand in December 2010. In 2017 the Ministry for Culture and Heritage announced a 'new phase' in the life of the DNZB, with the addition of an essay about Tupaia; this was followed in 2018 by 25 new essays to mark the 125th anniversary of women's suffrage in New Zealand. Subsequent rounds will illuminate the lives of significant and representative people from a cross-section of New Zealand society, with a focus on the decades after 1960. A number of entries were added to make the dictionary more representative of population covered, boosting the numbers of women, Māori, and other minority groups. A number of these are not based on secondary sources, as encyclopaedias traditionally are, but instead on primary sources, because no secondary sources exist for these individuals. Finnie (c.1822–?) was a prostitute. She was born in Scotland in circa 1822. Nielsine Paget (21 July 1858 – 13 July 1932) was a homemaker and community worker in southern Hawke's Bay. Weldon (1829–1882) was a prostitute and character. She was born in County Limerick, Ireland in about 1829. In 1991, the first print volume won the 1991 Goodman Fielder Wattie Book Awards. In 2002, Yahoo users in New Zealand and Australia voted the Dictionary of New Zealand Biography website "site of the year". Scholefield, Guy, ed. (1940). A Dictionary of New Zealand Biography : A–L (PDF). I. Wellington: Department of Internal Affairs. Retrieved 21 September 2013. Scholefield, Guy, ed. (1940). A Dictionary of New Zealand Biography : M–Addenda (PDF). II. Wellington: Department of Internal Affairs. Retrieved 21 September 2013. Oliver, W. H., ed. (1990). The Dictionary of New Zealand Biography. I. Wellington: Allen & Unwin. ISBN 004641052X. Orange, Claudia, ed. (1993). The Dictionary of New Zealand Biography. II. Wellington: Allen & Unwin. ISBN 0908912498. Orange, Claudia, ed. (1996). The Dictionary of New Zealand Biography. III. Wellington: Allen & Unwin. ISBN 1869402006. Orange, Claudia, ed. (1998). The Dictionary of New Zealand Biography. IV. Wellington: Bridget Williams Books. ISBN 1869402030. Orange, Claudia, ed. (2000). The Dictionary of New Zealand Biography. V. Auckland: Auckland University Press. ISBN 1869402243. ^ Jones, Lawrence (2001). "Dictionary of New Zealand Biography". In Jolly, Margaretta (ed.). Encyclopedia of Life Writing: Autobiographical and Biographical Forms. Routledge. p. 274. Retrieved 24 January 2014. ^ Clark, Helen (19 February 2002). "Online version of Dictionary of NZ Biography" (Press release). Wellington: New Zealand Government. Retrieved 24 January 2014. ^ a b Phillips, Jock (2003). "The Online Encyclopedia of New Zealand" (PDF). New Zealand Journal of History. 37 (1): 80–89. Retrieved 1 February 2012. ^ "Te Ara – a history – Biographies". Te Ara – The Encyclopedia of New Zealand. Ministry for Culture and Heritage. Retrieved 12 November 2016. ^ Shoebridge, Tim (6 November 2017). "The Dictionary of New Zealand Biography Rides Again". Te Ara. ^ Shoebridge, Tim (2018). "25 new stories of trailblazing New Zealand women". Retrieved 28 November 2018. ^ Shoebridge, Tim (2018). "'The Dictionary of New Zealand Biography, Redux' Podcast". Retrieved 28 November 2018. ^ Glamuzina, Julie. "Jessie Finnie". Dictionary of New Zealand Biography. Ministry for Culture and Heritage. Retrieved 23 April 2017. ^ Ropiha, Dorothy. "Nielsine Paget". Dictionary of New Zealand Biography. Ministry for Culture and Heritage. Retrieved 11 November 2018. ^ Hutchison, Anne. "Barbara Weldon". Dictionary of New Zealand Biography. Ministry for Culture and Heritage. Retrieved 23 April 2017. ^ "Goodman Fielder Wattie Book Awards – Literature – Christchurch City Libraries". christchurchcitylibraries.com. 2011. Retrieved 14 December 2011. John Williamson was a New Zealand politician, printer and newspaper proprietor. Te Ara: The Encyclopedia of New Zealand is an online encyclopedia established in 2001 by the New Zealand Ministry for Culture and Heritage. The web-based content was developed in stages over the next several years; the first sections were published in 2005, and the last in 2014 marking its completion. Te Ara means "the pathway" in the Māori language, and contains over three million words in articles from over 450 authors. Over 30,000 images and video clips are included from thousands of contributors. Dame Claudia Josepha Orange is a New Zealand historian best known for her 1987 book The Treaty of Waitangi, which won 'Book of the Year' at the Goodman Fielder Wattie Book Award in 1988. Charles Wilson was a New Zealand politician of the Liberal Party. He was the first chief librarian of the General Assembly Library. The Hon. John Rigg MLC CMG was a New Zealand politician of the Labour Party. Sir Edwin Mitchelson was a New Zealand politician and timber merchant. 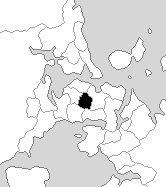 Eden, a former New Zealand parliamentary electorate, lay in the general area of the suburb of Mount Eden in the city of Auckland. Sir Ernest Hyam Davis was a New Zealand businessman, and was Mayor of Auckland City from 1935 to 1941. He was also on other Auckland local bodies and on various philanthropic and sporting organisations. He was Mayor of Newmarket 1909–1910. The 16th New Zealand Parliament was a term of the New Zealand Parliament. It was elected at the 1905 general election in December of that year. The 20th New Zealand Parliament was a term of the New Zealand Parliament. It was elected at the 1919 general election in December of that year. The 21st New Zealand Parliament was a term of the New Zealand Parliament. It was elected at the 1922 general election in December of that year.